My first piece of advice about traveling between Newark and JFK or LGA airports is to avoid doing it if at all possible! It is not an easy task to cross a huge city and two rivers, especially if you are short on time. However, there may be times when you can’t get around it. In general, traffic can be unpredictable so allow extra time to transfer between NYC airports if you can. This post contains information that will help if you need to go from Newark to JFK or LGA. It is not as far to transfer between LaGuardia and JFK, but it’s not simple so I have included information on that as well. As you can see from the NYC airport map below, JFK and LGA are located relatively close to each other. EWR is on the other side of the map. The distance between JFK and EWR is 30 to 42 miles depending on the route and the distance from LGA to EWR is 32 miles (or 26 miles if you go through Manhattan). The distance between JFK and LGA is about 10 miles, but there is a lot of traffic and now some construction so it will feel a lot longer. For over 13 years, I was based in New York City so normally I would not need to travel between NYC airports. On one occasion, I was traveling to Houston on United Airlines. My flight was one of the few United Airline flights from LaGuardia airport. Unfortunately, there was bad weather in Houston and my flight was canceled. If I wanted to get there that day my only option was to catch a flight out of Newark, United’s hub. I didn’t have time to really think about it, otherwise, there is no way I would have made it. I jumped in a cab and said take me to Newark as fast as you can. Luckily, it was not rush hour, but we did run into a little traffic. My bill was well over $100. If I hadn’t made that flight, I probably would have had to cancel my whole trip since it was only for a weekend. I was thankful I made it to Houston to see my friends. There are actually many ways that you can transfer from JFK to EWR. Technically, you can use any of the options that I listed in my post about JFK transportation options and then connect to any of the Newark airport transportation options. This will be the fastest way (unless it is rush hour), but this is not going to be cheap. I would only recommend a car service or taxi from EWR to JFK in dire situations when you are pressed for time. If you decide to go with this option, you might want to book a car service online in advance to save time waiting in the taxi line. With Carmel Car Service, you can easily book online plus earn frequent flyer miles for the ride. Click here to get more information about Carmel Car Service. To make things simple and affordable, I suggest that you use the NYC Airporter bus option (now called the NYC Express Bus) from JFK and transfer at the Port Authority bus terminal stop to the Newark Airport Express bus. You can actually book this as one ticket on the NYC Airporter website. Just remember if you are going from EWR to JFK, you need to catch the Newark Airport Express from the EWR and then transfer to the NYC Airporter at Port Authority. Please print out two copies of your confirmation, one for each bus. For only $29, this is a steal! Click here to make a reservation on NYC Airporter. ETS offers a direct shuttle from EWR to JFK. I have not used this option. I am skeptical about it because the time estimates on their website vary from 45 to 90 minutes for transferring between EWR and JFK depending on the page you are viewing. Knowing New York traffic,I seriously doubt they ever make it in 45 minutes. Personally, I found their website difficult to use. It would not let me book online and instructed me to call instead. They also mention that the service is frequent but don’t really say more than that. After emailing ETS, I learned that the service is offered once an hour beginning at 730am until 930pm. The cost is $34 per person. LaGuardia Airport is not well connected to NYC by public transportation. There are a few buses that you can take but no direct train or subway service to Manhattan. You could save a little money by taking an NYC bus to Manhattan (get more details in my post about how to get from Lga to Manhattan) and then following my guide on how to get to Newark airport. This could be very time consuming. Again, this is probably the fastest way, but it is expensive and probably not the best idea unless you are really short of time, or you’re prepared to pay for the convenience.If you decide to go with this option, book a car service online to save time waiting in the taxi line. Again, I recommend Carmel Car Service for this as booking online is easy and you can earn frequent flyer miles for the ride. Click here to book online with Carmel. Just like traveling between EWR and JFK, this is my preferred option. Take the NYC Airporter bus option (now called the NYC Express Bus) from LGA and transfer at the Port Authority bus terminal stop to the Newark Airport Express bus. Book this as one ticket on the NYC Airporter website and remember to print out two copies of your confirmation, one for each bus. The fee for this journey is still $29, which I think is very good value! Click here to make a reservation on NYC Airporter. Just remember if you are going from EWR to LGA, you need to catch the Newark Airport Express from the EWR and then transfer to the NYC Airporter at Port Authority. ETS also offers a direct shuttle from EWR to LGA. I have not used this shuttle either for the same reasons I mentioned above. I don’t find their website user-friendly, and I think they are overly optimistic about their time estimates.I seriously question whether it is possible for anyone to get from EWR to JFK in 45 minutes – except in the middle of the night maybe! They also mention that the service is frequent but don’t really say more than that. The service is offered once an hour beginning at 730am until 930pm. The cost is $34 per person. As I mentioned above, public transportation to LGA is limited. There is no train that connects LGA to JFK. I would not recommend taking public transportation from LaGuardia Airport to JFK because they all take well over 1 hour! Instead, you can either take a taxi, car service, or the NYC Airporter Shuttle. Unfortunately, with all these options you may have to deal with traffic. Going by taxi can be a good option. The one thing you have to keep in mind is there could be a long line to get a taxi depending on the time you land. You can also use Uber or another car sharing service but again depending on the time you land you may have to deal with surge pricing. It may be worth an extra dollar or so, to book a car service in advance. Check out my preferred car service, Carmel, and earn frequent flyer miles for your ride. Click here to reserve a ride with Carmel. Another good option, this service, now called the NYC Express Bus, runs between JFK and LaGuardia airports every 30 minutes. The average travel time for a JFK LGA transfer is 60 minutes and it costs $17 per person. Click here to book the NYC Airporter shuttle. In summary, it is best to avoid transferring between NYC airports if you can. Even if you are just going between JFK and LaGuardia airports it will take time. Train options to transfer airports are limited and traffic can make the journey much longer, so keep that in mind when booking flights. 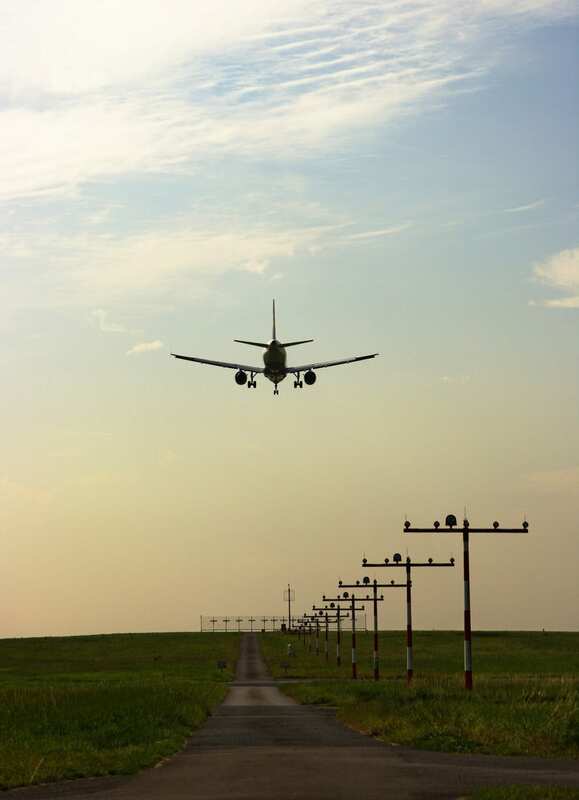 Have you had to transfer between NYC airports or airports in other cities? Avoid transferring between NYC Airports if possible but if you can’t be sure to allow plenty of time. NYC Airporter has shuttle options between airports that are affordable. 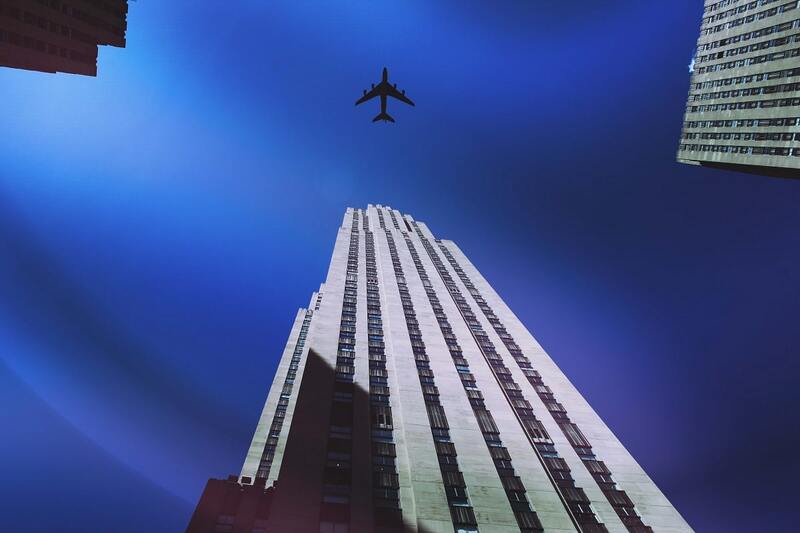 Click here to check out the options with NYC Airporter. If your budget allows, you may want to book a car service online in advance with Carmel. As a bonus, you earn frequent flyer miles for your ride. Click here to book online with Carmel. Wow, Anisa, great subject! I’ll definitely bookmark it. I’ve traveled in and out of all three airports and I agree with your best advice: avoid transfering between them if at all possible. I prefer to fly into Newark, I find the airport easier to navigate, and I’m used to it. I had to fly in Newark but out of JFK for one very short trip though, and I was not happy about it. Taxi service costs a fortune and it was what I used because I was in a rush and I don’t know Manhattan well enough to feel comfortable with other options. So this is one of those posts that I’ll keep for future reference. Thanks for explaining all the options. Emese – Glad you found the post helpful. All the transportation options can be really confusing. Even though I’ve never been to NYC I knew about it’s airports, but I didn’t realize that it would be so complicated to transfer. Luckily for me, I’ve been able to avoid transferring between airports in other cities. Thank you guys! So glad to hear you found it helpful. Very informative, thank you! I hope I never have to deal with this situation (airport transfers are my worst nightmares), but if it ever does happen, at least now I have all of the important information! Thanks! Jessica – So glad to hear you found the post helpful. I hope you never need the information though! Great tips with loads of practical information. Definitely bookmarking this for future use! Thanks Lynne – so glad you found it helpful. This really highlights how transport in NYC needs a bit of a rethink – imagine if there were other options that were environmentally friendly, cheap and fast – surely it would add millions to the city’s revenue? Just a thought 🙂 Great post btw, -what about Uber? If you did try the ETS bus do update the post! Annie – Very good point. Yes Uber is another option, the thing that worries me is the surge pricing though. And yes if I do try ETS or hear from someone who has I will update the post. Michelle – I agree. I would only do it for a really good deal. And make sure you allow yourself plenty of time. This is really useful and helpful for those needing to transfer! 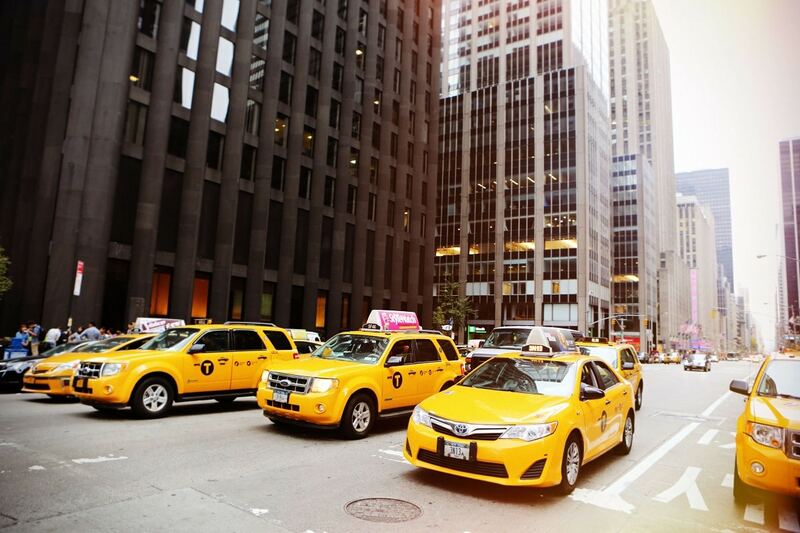 I have always avoided any itineraries with transfers in NYC or any other city like Chicago or London that has multiple airports – layovers are stressful enough sometimes for me without the need to transfer! Jessica – Yes I agree, ideally avoid transferring if possible. Ruth – Yes that makes sense. Sometimes deals just aren’t worth the hassle. Oh gosh, I hope to never have to do that! This just sounds like it would be a nightmare and knowing my luck, it would cause me to miss my flight! #TheWeeklyPostcard! Lolo – Yes, you really do need to make sure you leave extra time. It can be really stressful. Really helpful post! We’ve not been in this situation, but it’s good to know the information is out there. Thanks for sharing on #TheWeeklyPostcard! Thanks. So glad you found it helpful. I hope you never have to do the transfer though! what if I arrived into LaGuardia about 10 am, and my flight out of JFK departs at 11:15pm? Could I go see Times Square and whatever else is recommended on public transportation, with 1 carry-on wheeled small suitcase? Jan – You could do that. Some attractions may not allow the bag though so check that in advance. Have a great time in NY.